Welcome to our DIY wrapping paper and gift-wrapping ideas round-up! I hope you find lots and lots of great ideas and inspiration to go out and make your own this year. I am sure those who receive the wonderfully wrapped gifts will appreciate them very much. 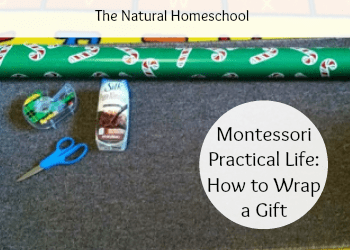 First, I want to share a Montessori Practical Life activity that we did in our homeschool, then you will get to see 12 wonderful posts with excellent content. For our Montessori Practical Life activity, we learned how to wrap a gift. Since Christmas is barely behind us, I still had some leftover wrapping paper to use for this. It was such a fun and awesome activity for Brother. He seriously surprised me at how well he did! He will definitely be my gift-wrapping buddy this next Christmas! To read post How to Wrap a Gift, click here. Let us know which ideas helped you the most and feel free to share pictures, too! 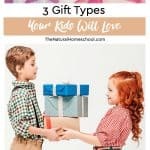 And the best part is, you don’t need to use these only for your holiday presents, but also for any presents you give throughout the year, so refer to this post often! 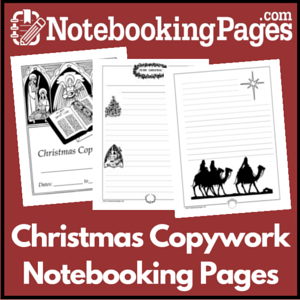 Be sure and visit our Homeschool Winter & Christmas Ideas Pinterest Board! This is a great list of Christmas ideas. Thank you so much for posting them.